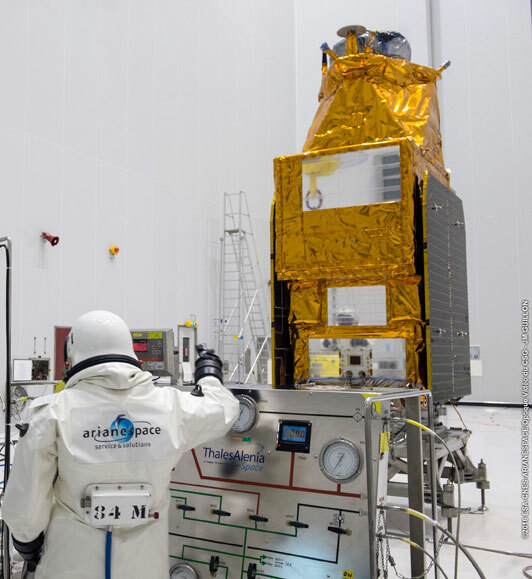 The lightweight member of Arianespace’s launcher family has completed its basic assembly at the Spaceport in French Guiana, with this four-stage Vega vehicle now being readied for the mission’s payload: the GÖKTÜRK-1A observation satellite for Turkey. The AVUM (Attitude and Vernier Upper Module) upper stage is hoisted up the mobile gantry for installation atop Vega at the Spaceport’s SLV launch site. During the build-up process, Vega was integrated at the Spaceport’s SLV launch site, bringing together the solid propellant P80 first stage, Zefiro 23 second stage and Zefiro 9 third stage; followed by the liquid bipropellant fourth stage, called the AVUM (Attitude and Vernier Upper Module). 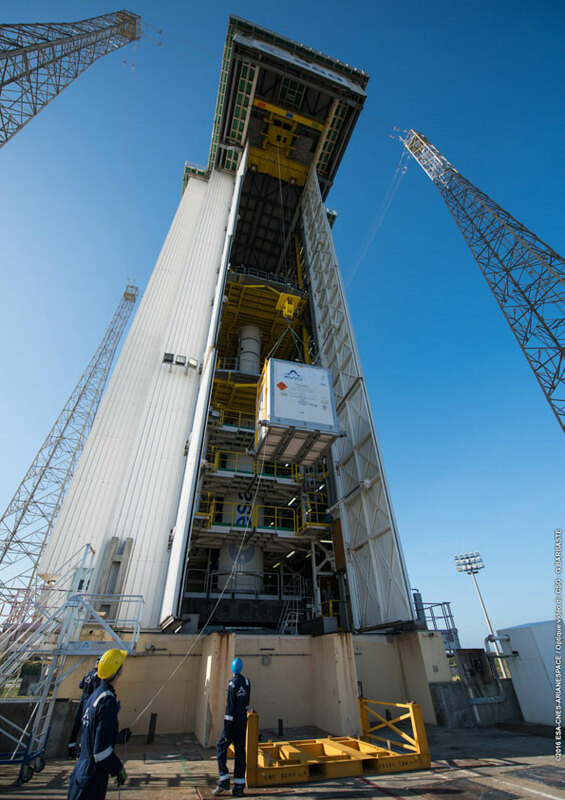 As the smallest vehicle in Arianespace’s launcher family operated from French Guiana, Vega complements the company’s medium-lift Soyuz and heavyweight Ariane 5 in offering a full range of launch service capabilities. Vega is a European Space Agency (ESA) program, jointly funded by Italy, France, Spain, Belgium, the Netherlands, Switzerland and Sweden. The launcher design authority and industrial prime contractor is Italy’s Avio, operating through its Italian subsidiary ELV (in which the Italian space agency ASI has a 30 percent stake). GÖKTÜRK-1A is fueled in the S5 payload processing facility as part of preparations for its December launch on Vega. For Vega’s December 5 mission, its GÖKTÜRK-1A passenger will be deployed for operation in Sun-synchronous orbit – providing Earth observation services with a high-resolution optical instrument. The satellite was developed within the scope of a turnkey contract with Telespazio as prime contractor for the Undersecretariat for Defence Industries of Turkey. 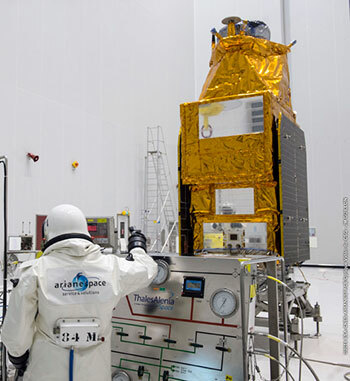 Thales Alenia Space is responsible for the satellite, joined by Turkish partners that include Tai A.S., Aselsan A.S., Tubitak, Uekae, Roketsan A.S. and TR Tecnoloji. As part of the pre-launch operations, GÖKTÜRK-1A has been fueled in the S5B hall of the Spaceport’s S5 payload processing facility. Arianespace’s launch of GÖKTÜRK-1A is designated Flight VV08 in Arianespace’s launcher family numbering system, signifying the eighth mission with Vega since its maiden liftoff in 2012.